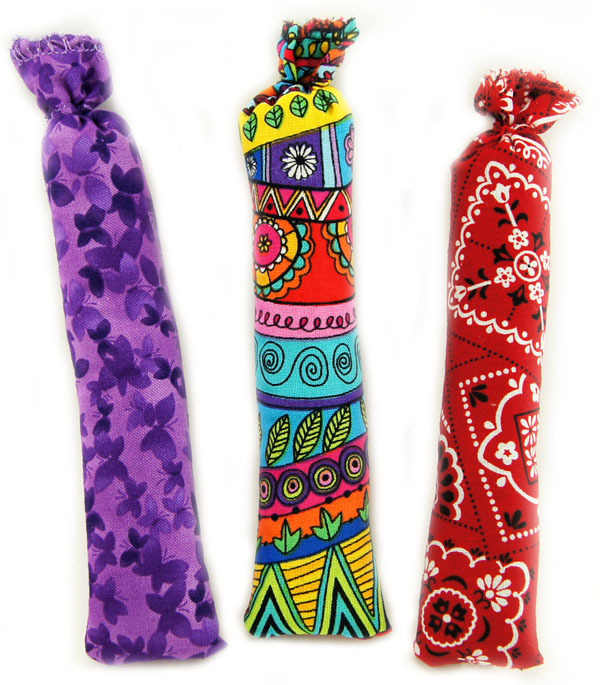 Our catnip toys will keep your cat entertained for hours. We use high quality catnip for lasting enjoyment and fun for your cats. Hours of kitty fun in a small fabric package. 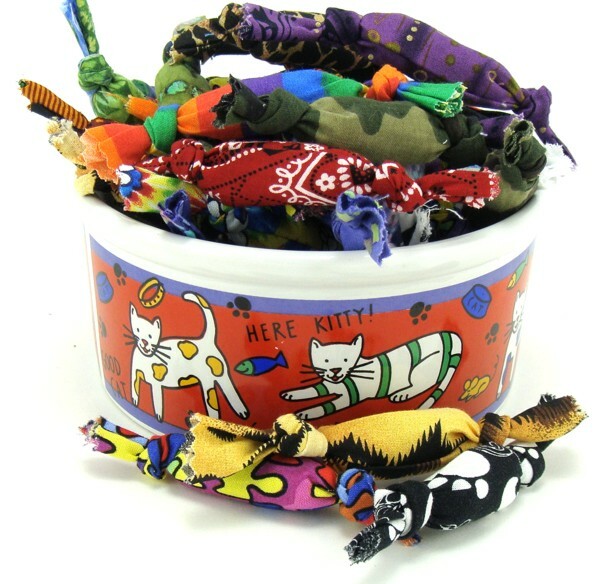 Each knotted fabric toy is filled with high quality catnip for your cat's enjoyment. Just catnip in a tea bag inside the fabric, no other fillers! Your cat will be entertained for hours with this catnip filled toy. 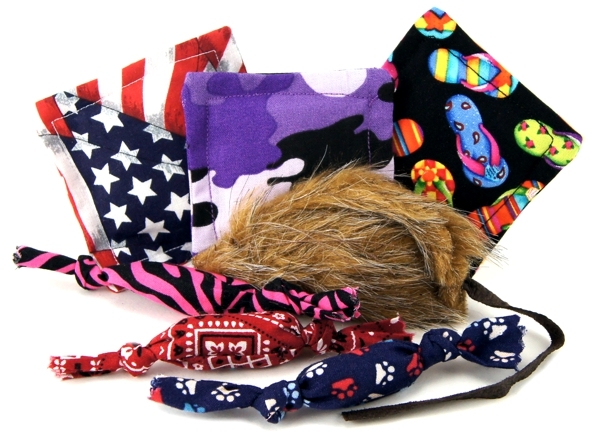 They can bat, roll, chew and sniff for hours of fun..
No fillers, just 100% natural catnip. Please let us choose the fabric colors & patterns. 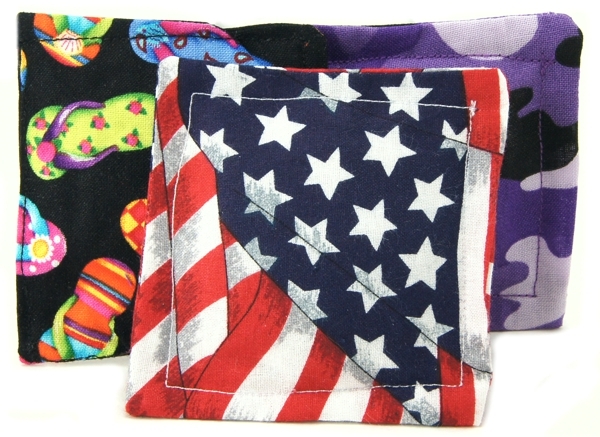 Cats find these catnip fabric pillows irresistible! No poly-fill or other fillers. Filled with approximately 1 tbsp. catnip in a tea bag. 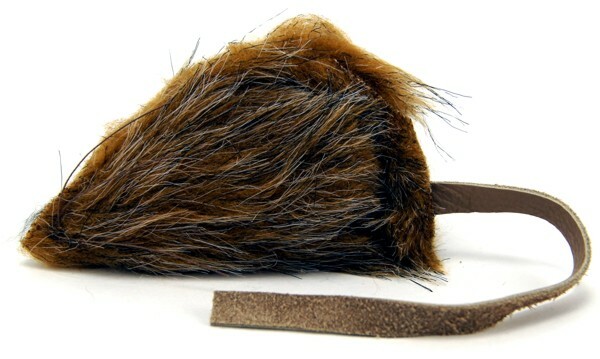 Plush fur, leather tail, catnip and a jingle bell will keep cats entertained for hours! Mice come in a variety of colors. Video of Kylie enjoying her catnip mouse.